Backpacker Panda Jaipur is situated on the most famous street of Jaipur, the MI road. Walk down the road and enjoy the city like local. The road is lined with an assortment of stores and restaurants that are unique to the Pink city. Jaipur’s most prominent landmark, the Hawa Mahal known as the ‘Palace of Winds’ is just 10 minutes’ walk away. 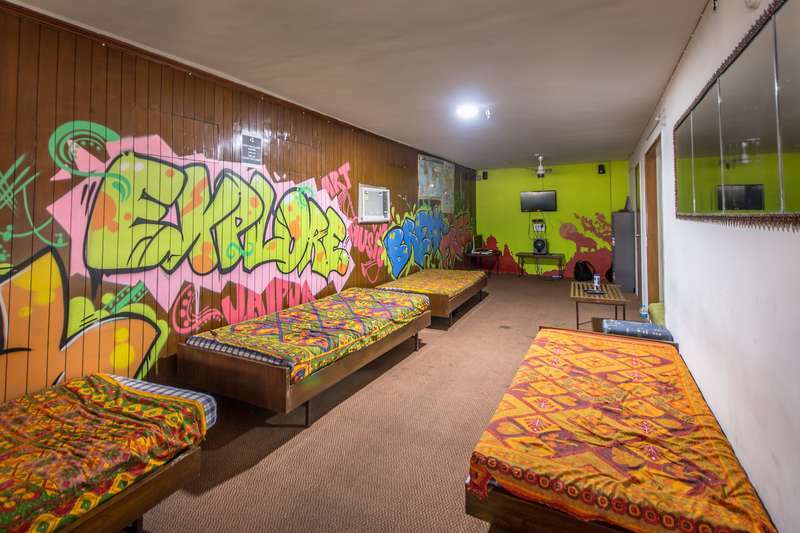 At Backpacker Panda Jaipur, you shall find all the comforts of all modern amenities with a distinctive flavor of Rajasthani culture. We have most excited staff members to help you and housekeeping staff ensures that the rooms and washrooms are clean all the time. 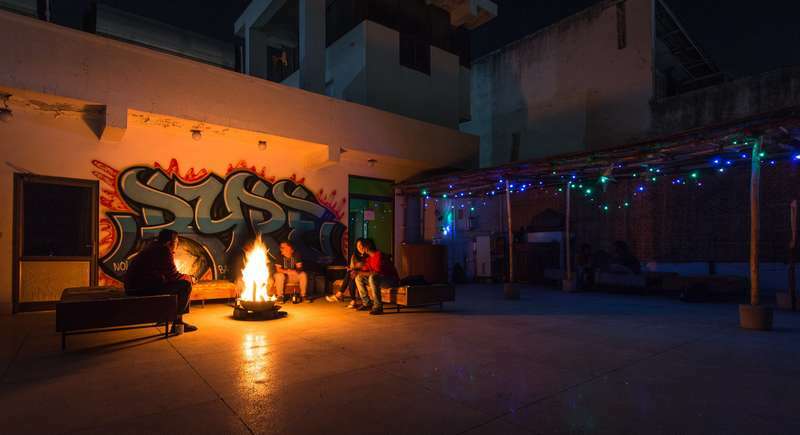 The hostel provides with all the necessities required by a backpacker traveler with dedicated female dorms to give ultimate comfort, security and satisfaction. We have prepared custom city map for you and handpicked variety of places to explore Jaipur the way it should be." 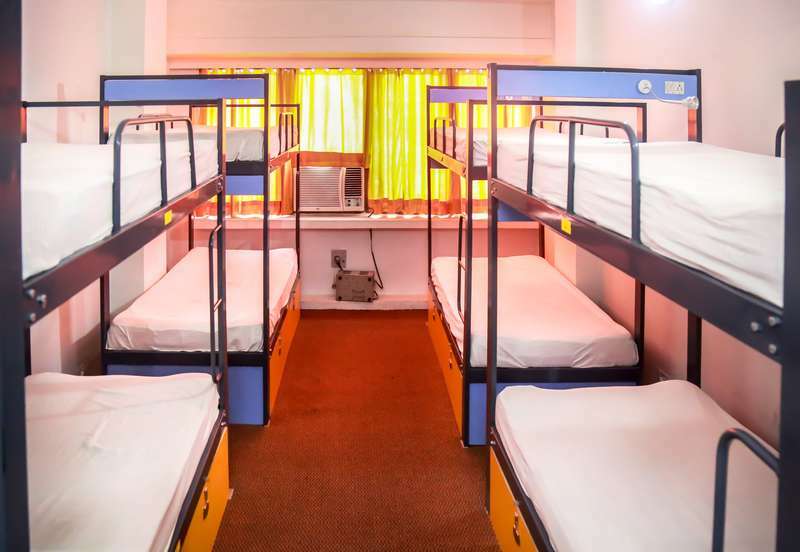 Backpacker Panda Jaipur is situated in the heart of the city, on the most famous street, the MI road. Walk down the road and enjoy the city like local. All the major tourist attractions are easily accessible. We are well connected with any means of transport you arrive. Jaipur Railway Station is 6 kms away while the Sindh Camp Metro station is 4 kms away. The Jaipur International Airport is 11 kms away. Can’t wait to welcome you out here. Reservations that are cancelled at least 24 hours prior to arrival are not charged for, whereas no shows or failing to cancel in excess of 24 hours will incur a charge for the first night. 1. Our reception is 24 hrs. If you are coming late, do not worry someone will always be there to check you in. 2. ALL GUESTS MUST CARRY ONE OF THE FOLLOWING IN ADDITION TO THEIR ID PROOF: PASSPORT (or) COLLEGE ID (or) CORPORATE ID. IN ABSENCE OF ONE OF THESE CHECK-IN WILL NOT BE PERMITTED WITH NO REFUND. 3. Our check-in time is 2 pm and check-out time is 12 PM. Hey, if you come a little early, our common area is more than equipped to handle your luggage and keep you entertained. Use our free Wi-Fi or games to relax. You can also drop your bags and go out visit the city, we will keep eye on the bags. 5. In order to cancel or amend your booking you need to contact us at travel@backpackerpanda.com. Reservations that are cancelled at least 24 hours prior to check in time are not charged for, whereas no shows or failing to cancel in excess of 24 hours will incur a charge for the first night.